Turkish Cultural Foundation (TCF) is delighted to announce the completion of a project with the Chester Beatty Library in Ireland to conserve one of the earliest printed books in Turkish. The Cihan-nüma (Mirror of the World, 1732) was written by the Ottoman Turkish scholar Katip Çelebi, and printed by İbrahim Müteferrika. Published in İstanbul, the Chester Beatty’s rare and complete copy of the Cihan-nüma has survived with all of its original 13 astronomical and 26 geographical maps intact. The ambitious text summarised Ottoman geographical knowledge of the time and is one of the earliest books printed in Turkey in Turkish. Due to the importance of Cihan-nüma, the Chester Beatty approached TCF for support in late 2017. Deeming the project in line with its mission to preserve Turkey’s cultural heritage, TCF provided a grant for the conservation of the book. As a result of the conservation project which took over a year, the damaged pages were treated and carefully re-sown into a new binding that will allow the volume to be safely handled for generations to come. 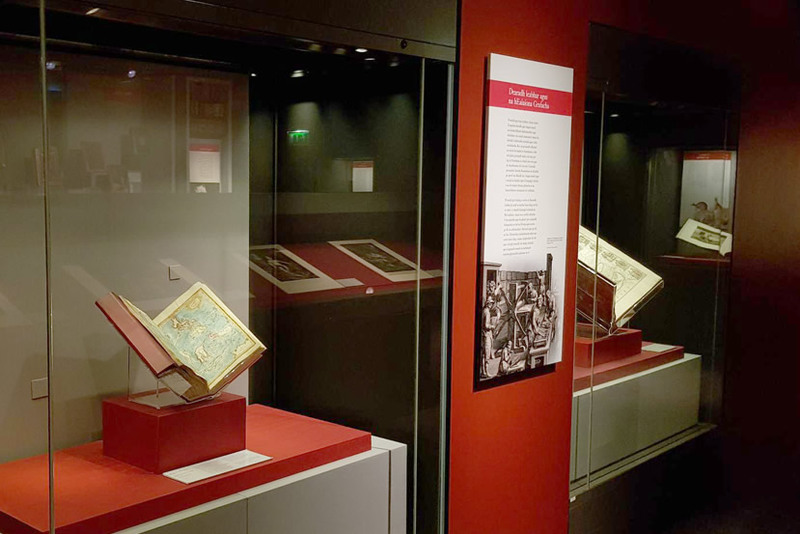 Kitab-ı Cihan-nüma is now on exhibition at the Chester Beatty Library’s Arts of the Book Gallery. Visitors can view this magnificent volume and the exquisite detail of the Map of the Indian Ocean and China Sea. The Chester Beatty Library is a museum and library that houses the world-class collection of Islamic, East Asian and European art assembled by the American philanthropist and collector Sir Alfred Chester Beatty (1875-1968).